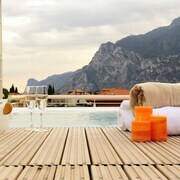 Which hotels are closest to the Torbole airport? 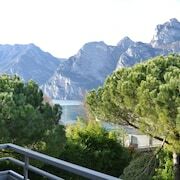 Where to stay near top Torbole attractions? 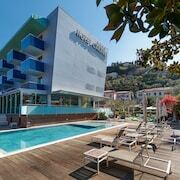 What kind of hotels are in Torbole? 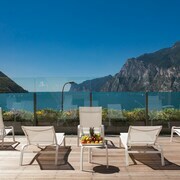 Which hotel chains are in Torbole? 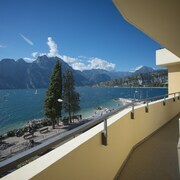 Travelers give high marks for the lakeside setting in Nago-Torbole, which is also known for its mountain views. 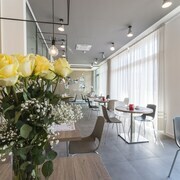 Tourists can also enjoy so much more including its cafés. 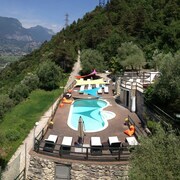 Top sights around the area include La Rocca, Tower of Apponale, and Arco Castle. Biking is a top activity, and Busatte Adventure Park is one place to visit. A couple of additional sights to add to your agenda are Saint Andrea Church and Customs House. 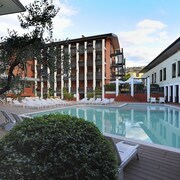 Aktivhotel Santalucia - This 3-star hotel features a restaurant, an outdoor pool, and free WiFi. It's a favorite with Expedia travelers for its helpful staff. 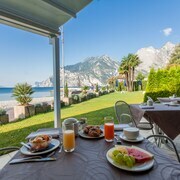 Eco Hotel Bonapace - With a stay at this 3-star hotel, guests can enjoy access to free parking and a bar, along with free WiFi. 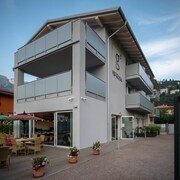 SeeLE Garda Hotel - With a stay at this 3.5-star hotel, guests can enjoy access to free breakfast and an outdoor pool, along with free WiFi. 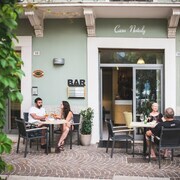 Popular places to see in the area include La Rocca, located 3.1 mi (4.9 from the heart of the city, and Tower of Apponale, which is 3.2 mi (5.1 away. 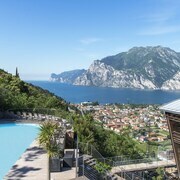 What are the most popular hotels in Torbole? 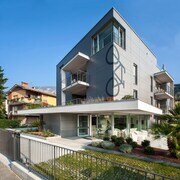 Are there hotels in cities near Torbole? 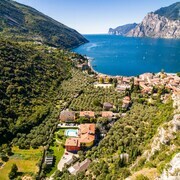 Explore Torbole with Expedia.com.au’s Travel Guides to find the best flights, cars, holiday packages and more!